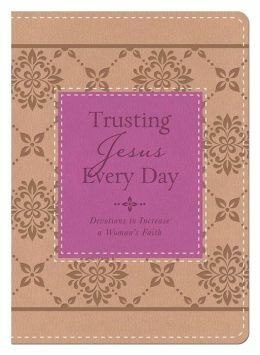 This brand-new devotional compilation will enhance your spiritual journey as you learn to trust Jesus completely with your whole heart. Dozens of devotions will inspire you to become just who God created you to be—a woman of confidence, a woman of beauty, a woman of joy, a woman of tranquility. . . . Trusting Jesus Every Day: Devotions to Increase a Woman’s Faith will not only inspire, but will also encourage you to give all that you are, and all that you have to Jesus. . .every day.